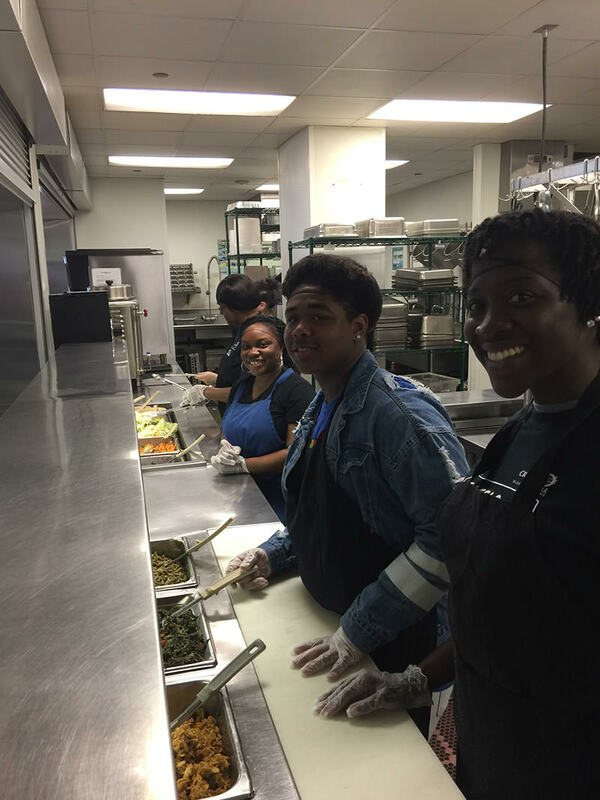 On this Global Community Day 5 CDGM volunteers and 6 WCYE members teamed up to serve the homeless at the Beacon in Downtown Houston. 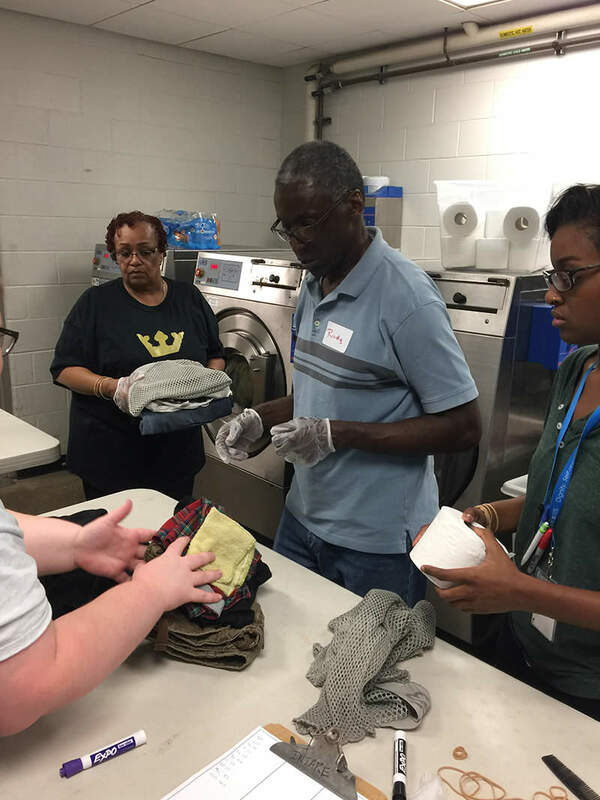 The Beacon is a nonprofit organization serving the homeless community in Houston and Harris County Texas by providing essentials such as showers, meals, and laundry services at their Day Center. Their overall focus is to restore hope and end homelessness in the Houston area; this is being achieved with the help of 2 other programs, through housing case management, pro bono legal services, and pastoral care with counseling. 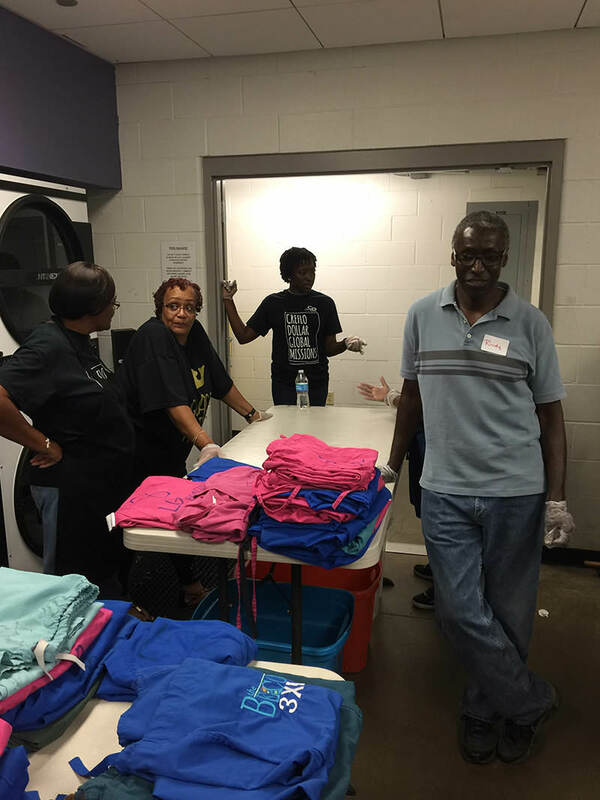 On our visit to the Day Center the team was divided into 2 groups one to help serve food and buss tables in the cafeteria, and the other group served in the laundry and shower area. 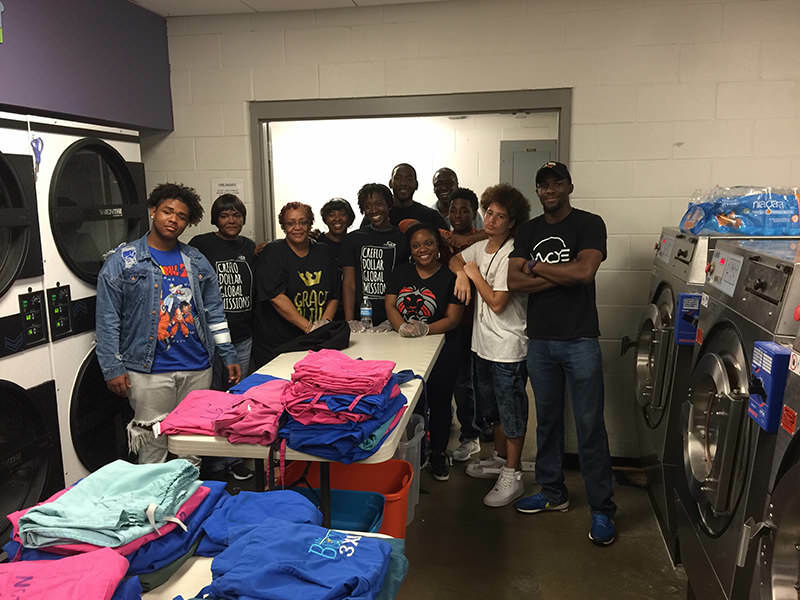 Within a 3-hour period our team helped serve over 150 meals and distributed more than 200lbs of laundry to the homeless. The staff at the Beacon were thrilled with our performance and how patient we stayed with clients; they would love for our group to come back and serve as often as we like!